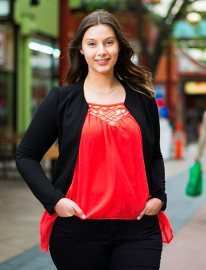 Study Bachelor of Business (Tourism and Event Management) at the University of South Australia (UniSA). Information for International students. Enjoy a fast-paced career in travel, tourism, hospitality or events. Learn effective problem-solving skills, strategic thinking and communication. Focus on areas such as festivals and events, event marketing, tourism and policy planning, and international conventions. Attend, critique and help to run events as part of your studies. 1QILT: Graduate Outcomes Survey Course Experience Questionnaire 2016-18 – Full-time Employment Indicator (Undergraduate and Postgraduate). Public SA-founded universities only. 2ShanghaiRanking's Global Ranking of Academic Subjects 2018 - Hospitality & Tourism Management. 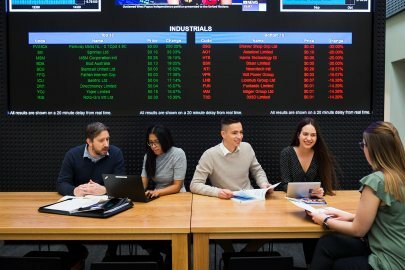 3UniSA Business School is one of just nine institutions in Australia and 180 globally to be accredited by EQUIS (from over 16,500 worldwide). EFMD, February 2019. Enjoy a fast-paced career in the growing travel, tourism and event management industries. Our respected business degrees provide a solid grounding in the essentials of global business, and with a specialisation in tourism and event management you’ll gain the skills and knowledge that employers highly value. During your studies you will have opportunities to attend and critique events, volunteer at major events locally and overseas and undertake industry placements. You will graduate with solid theoretical grounding, industry knowledge and the management skills to enhance your career prospects across the diverse tourism, event and hospitality business sectors. You can also gain valuable insight and career skills while you study, with internships in industry and exciting career-focused electives. Electives to choose from include The Hospitality Experience; Creative Tourism: Food, Wine and Festivals; and Tourism and Indigenous Peoples; or you can take part in a Business International Study Tour. 1. Students who have been approved to undertake the Transition to Masters pathway between the Bachelor of Business (Tourism and Event Management) and the Master of Management (Marketing) programs must complete the Masters electives in the nominated group. See Transition to Masters electives list. 3. One elective in the final year must be level 3. 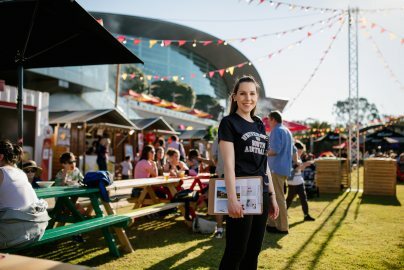 This highly regarded degree has been awarded the South Australian Tourism Award for Education and Training, and admitted to the SA Tourism Hall of Fame. Want to gain a postgraduate degree with just one extra year of study? You can package the Bachelor of Business (Tourism and Event Management) with the Master of Management (Marketing) degree and graduate with two qualifications in just four years with our 3+1 Pathway to Masters program. This unique offering allows you to fast-track your studies, develop greater expertise and broaden your career opportunities. You will study a three-year bachelor degree and a one year master’s degree (typically two years) in four years by using your undergraduate electives. Learn more. We also host also regular university-wide employee master classes and employment expos, and alumni events in Australia and overseas. I have over 30 years of business-linked experience in Australia and internationally and a long held commitment to achieving wider business literacy in the community, evidenced through my teaching and consultancies such as co-writing the South Australian Year 12 Accounting curriculum. 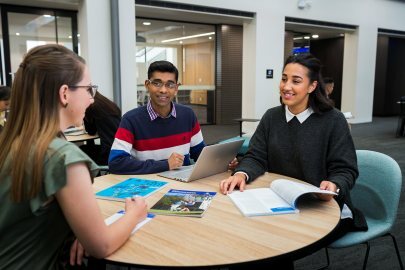 As the Bachelor of Business Program Director, I assist students to succeed in the Business School's exciting selection of industry relevant undergraduate degree majors in both Australia and Hong Kong. My passion for travel and culture lead me to study tourism, and with excellent staff and facilities UniSA was the obvious choice. The diversity of UniSA's events and tourism degree gave me not only the opportunity to explore tourism and events courses and core business courses, expanding my knowledge and skills in areas such as communications, negotiation and management, but also allowed me to participate in a Study tour to South Korea and Taiwan, to study and experience the tourism industry in a different country and gain an international perspective. I am conducting research on how events, arts, culture and tourism can be effectively used to activate local precincts and main streets in South Australia. Industry insight such as this, enhances student learning, making you career-ready.